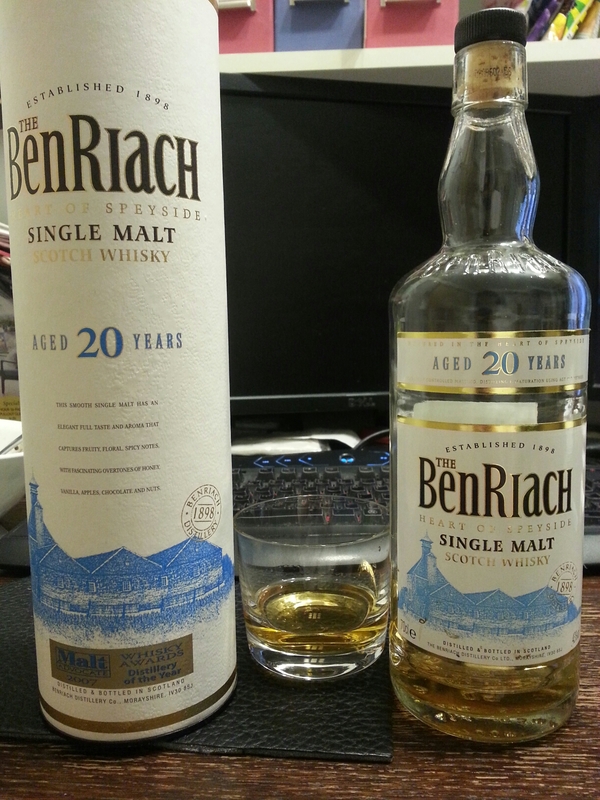 “BenRiach, located in the Heartland of Malt Whisky, displays all the traditional charm of a Speyside distillery. Established in 1898 and built by John Duff, it is one of the few distilleries with its own on-site floor maltings. The distillery draws its water from the Burnside Springs and uses a lightly peated malted barley varietal as the cereal source of this distinctive and intriguing Speyside malt. 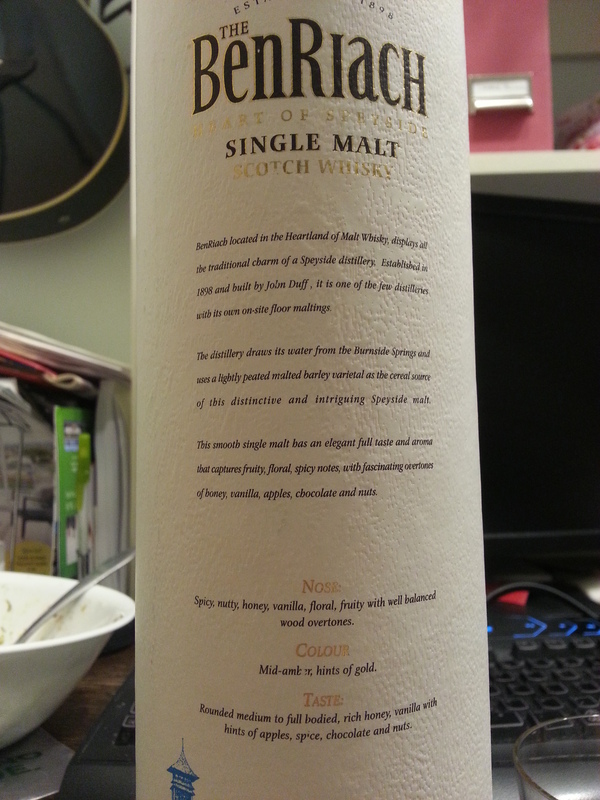 Tasting notes: Pours light orange, kind of lacking in colour for a whisky that has been casked for 20 years. Vanilla and caramel, just a touch of peat on the nose. Slighty thicker than water viscosity, a bit salty at the start, lots of apple-caramel sweetness, vanilla, nutmeg, honeycomb, chocolate, finishing with oak and a small amount of peat. Medium-high tongue numbness and roof and back mouth numbness, soft throat burn, good sippability. Agreeable flavours, though I think I prefer the Macallan 18YO over this one.